As a young scientist, Carl Johan Calleman was mentored to a PhD in Physical Biology by a member of the Nobel committee in Stockholm, and later served as a Senior Researcher at the University of Washington in Seattle. Dr. Calleman's 20 year research work with the Mayan calendar has revealed the code map of cosmic cycles allegedly given to an ancient Mayan leader by four 'star people' and then chiseled into the calendar stone. Calleman's scholastic presentations on this calendar in worldwide lectures followed publishing of three previous books: Solving the Greatest Mystery of Our Time, The Mayan Calendar and the Transformation of Consciousness and The Purposeful Universe, which have been translated into fourteen languages. 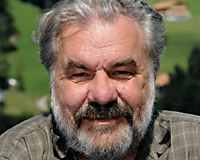 Even though populist media spun the narrative of the Mayan calendar with doomsday predictions and the blockbuster 2012 movie, Dr. Calleman has consistently maintained that the Mayan calendar is about the evolution of consciousness -- changing people on the inside -- in resonance with the cosmic cycles of the quantum field that the Mayan Calendar brilliantly maps. From this perspective, the Mayan calendar remains the most important source for us to grasp the divine time plan for the evolution of humanity. In fact, with the shift in the Mayan calendar in 2011-2012, the evolution of the human mind to communion with the unified field is only beginning! "The first novel idea about the rise of civilization in many decades." In his recent book, The Global Mind and the Rise of Civilization, Dr. Calleman describes how deep and fundamental the consequences of the shift in the Mayan calendar has been for our worldview, a shift that is only now beginning to make itself known through a new social conscience in our global social networks. 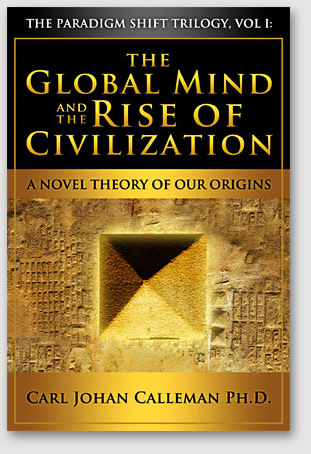 Dr. Calleman describes the pivotal mental shift that created early civilizations; what inspired the ancient Egyptians, Sumerians, Jews and Mayans, outlining a new theory about the historical, psychological, geophysical, and neurological roots of the human mind. 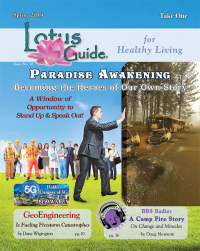 This unified plan plays out in a coherent way on our planet because everyone is connected to one and the same Global Mind, as evidenced in the book. Going from the unity of pre-history through the separation of civilization, the process of return to unity with a higher level of civilization has now begun. The revelations in this book resonate with the new insights of InnerNet futurists and quantum physicists, that the divine destiny of global humanity is now emerging with a profound understanding of the worldwide web of consciousness. These new insights in The Global Mind and the Rise of Civilization explains 72 factors at http://calleman.com/72-things-that-volume-1-explains/ that previously have not been understood, including where the human mind comes from, what it is and the role of its "downloading" in shaping the early civilizations of humanity. An entirely new theory has thus been developed to explain why, for instance, the Egyptians only a few generations after having left the stone age, were able to build colossal pyramids with an astounding geometric accuracy. In this new theory, all human creativity is generated by a divine mind in which all humans share and which allows us to develop in concert with one another -- and for events to happen on schedule. This divine mind is mediated by the Earth and -- contrary to what the modern educational system and official science is saying -- the human mind is not a product of the brain. This is one of the most significant paradigm shifts for us to ponder; almost everyone will have to reconsider their worldviews. A gateway of understanding has opened up to help us comprehend not only collective consciousness and psi phenomena, but also mental disorders. This first volume of The Paradigm Shift Trilogy provides the basis for how humans may craft the global mind of the future, and recreate our world. For those who are serious about personal and planetary conscious evolution, there is wisdom to be gained with 'The Global Mind'.